As you start on – or continue – your journey to designing and building your dream log or timber home, here is a glossary of terms that may help you navigate industry jargon. To provide texture to a square, smooth, or milled log, the manufacturer uses a hatchet or sander to mark the log adding character. As timbers dry and moisture levels decrease, the wood grain will separate causing checking. This is a natural process that does not impact the timber’s stability or strength. 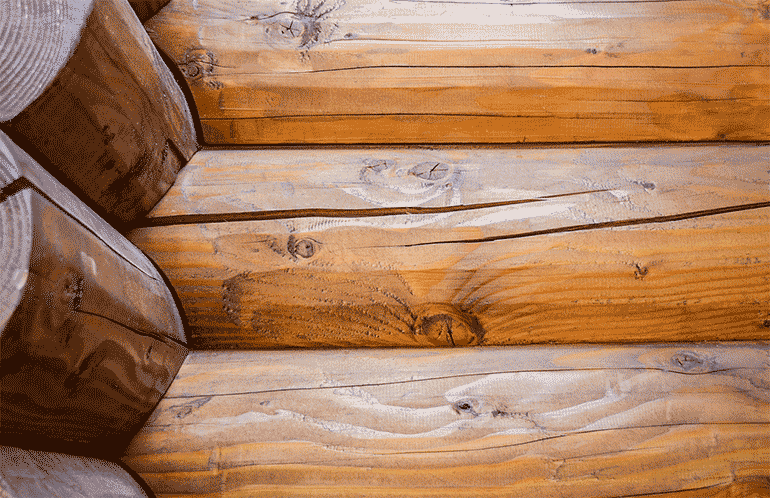 Chinking, a flexible and synthetic material, is used to seal the joints in a log home. Handcrafted log homes require chinking. Milled log homes may use chinking for aesthetics. The “heart” is the center of a tree. As the name suggests, heart center wood includes the heart in the middle of the timber. Free of heart center timber does not include the heart (though a very small portion may be at the edge). The heart is filled with nutrients. As the wood dries, the nutrients disappear. This causes the wood to twist as it dries. Therefore, free of heart center timbers are less likely twist. Twisting also depends on the species of wood. This type of log is hand-peeled by skilled craftsmen giving the logs a rustic finish. Chinking is required to seal the joints in this type of log home. Hybrids are combinations of two product lines, styles, building types, and more. The important thing to remember is to find out how each company is defining hybrid. Read an article addressing the term Hybrid. A truss can be either a functional brace to hold up part of your structure, or a decorative element which brings character to your log home. In most cases, it is both. Truss styles include: Arched King Post, Scissor, Arched Queen Post, Hammer Beam, Barrel Truss and a Standard King Post. Log profile refers to the shape of the individual log. Common shapes include: round, square, rectangular, and D-log. Machinery is used to create milled logs. Therefore, they are more uniform than handcrafted logs. The machinery allows for a variety of log profiles. 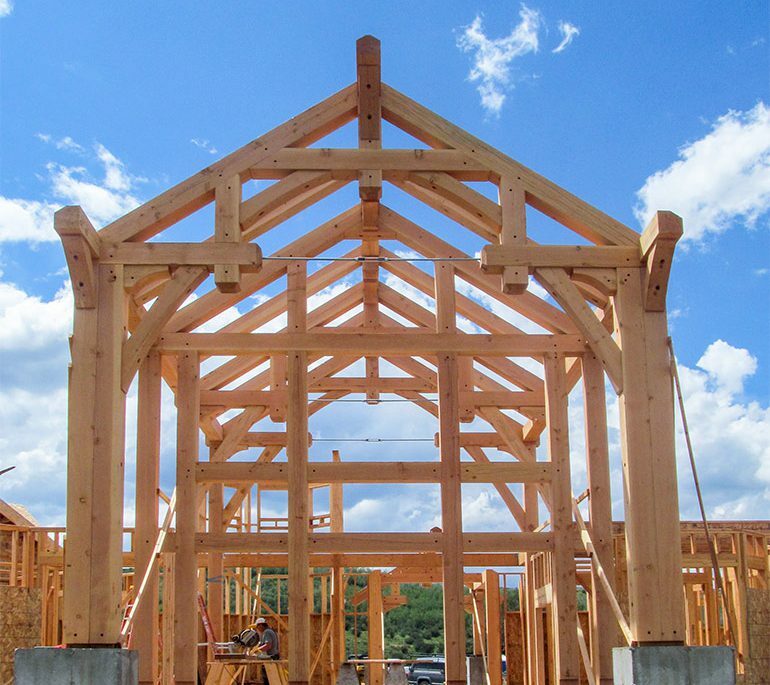 A log post & beam home is similar to timber framing except lathed logs and handcrafted logs are used. Lathed logs are more uniform in size while handcrafted logs retain tooling marks. Finish of a milled log. Stacking logs on top of each other creates walls. At the home’s corners, the logs are interlocked. This is the type of framing that you find in many homes and consists of 2x4s, 2x6s, 2x8s, or larger size wood pieces. Joining heavy wood timbers creates a timber frame structure of all or part of the home. This structure is left visible as an architectural element. Turnkey cost refers to the total cost to build your log home or timber home, not including land or site improvements. The term turnkey originated with the idea of the homeowner “turning the key” in the front door and walking into their completed home. Turnkey can also refer to building; if a builder provides turnkey construction, they construct the entire home. Learn more about Cost Feasibility.